If Cat Black reeled ’em in – then Mongrel Country knocked ’em out. At this point, the front room was completely packed out with a pit forming at the front of stage. It’s no wonder, with Mongrel Country’s signature double percussion as an awesome force, feeding a frenzy of crazed mountain fiends, guzzling back the twisted sensation like moonshine. The Deliverance references don’t stop there; on entering the gig there was the opportunity to enter a draw to win a trademark mutated pig mask. Different and discordant as they are, Mongrel Country still maintain rock’n’roll accessibility which allows a crowd to really let loose. And even if you just want to sit back a watch, Mongrel Country are an exciting band to witness. By the end of the set, there was a stream of punters coming out for air; completely satisfied and wanting a weird pig mask. Punters were spilling out onto the pavement after an intense shared experience... and what happens in the woods – stays in the woods. ... In fact, the entire gig was put together so well, in a concerted effort to showcase some dark, seething, unnerving parts of rock in Perth, as well as some damn fine pig masks. The follow up to Mongrel Country’s debut Just Another Snake Cult was always going to prove difficult. Instead, they’ve stretched further with their sound from their trademark churning guitars to percussion. Recorded at guitarist/vocalist Max Ducker’s home studio in North Perth, the album is impossibly heavier, dirtier and rawer than before. Right from the opening track Smile of the Crocodile the duelling guitars set their marks off right within seconds of the track. Ducker’s fuzzed out slimey vocals contrast the country and western style licks from the second guitarist/vocalist Anthonisz. Like Hogtied on the album, Mongrel are well tuned in with their song writing capabilities. These two tracks stand out immensely with their catchy tunes and in Hogtied particularly, bass driven rhythms. Anthonisz makes his mark on the album with Jesus Don’t Make Me Kill That Woman. Possibly one of the darkest yet comical songs in a long time because of his vocals and crazy punk lyrics. An individual of sorts; his vocals are one of kind with his anger and emotions wallowing at the bottom of his every breath. Regular Perth session musician and Schvendes cellist, Tristan Parr, makes his way onto a few tracks on the album. Parr leaves the percussion, bass and vocals to their work on My Gun Shoots Out Love exactly when needs be. 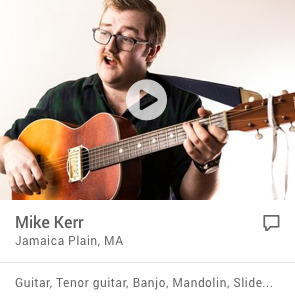 Parr’s work on the album with the cello strikes a different sound to Mongrel at times as he completes the sound of the songs to borderline westerns Like An Old Suitcase and Lost and Endangered. Ducker and Anthonisz use their guitars for than just being a melody or rhythm maker. They really compliment one another as do the two percussionists, Jason Barfoot and Julian Polain. Just when you thought only the imaginable would happen between two eccentric guitarists and two drummers in a band, the inconceivable happens. Mongrel Country draw lines through any idea that it’s a pile of noise. In Like An Old Suitcase and Rivers they work incredibly well creating effortless songs with touches in every right place. Carrying out the album is Lost and Endangered. Tinges of Morricone swift in and out of the song with the dangly rhythms and singing style of Ducker at times. This song goes to new areas the Mongrels haven’t played before, though it isn’t a far stretch from some of the tracks on this album. Parr’s sorrowful cello drinks down like red wine on a cold winter’s night with Ducker’s vocals to finish off this fantastic album. The fascinating proposition that is Mongrel Country appeared sans pig-masks but still put on an ear-bleedingly intense show as the sun retired behind them. Such was the volume of their guitar assault that both of their fully-kitted drummers could barely be heard. Bassist Cameron Hines raised some dust centre-stage, playing the most apt lines at the best times. The man also has a range of stage moves that defy logic but demand attention; holding his bass face-down to the woodchips would have been awkward enough, but nailing his notes while doing it was impressive. ou know those scenes in Kurt & Courtney where Nick Broomfield is cruising around the abandoned streets of Aberdeen Washington to the doom-laden sounds of Earth? This writer had a similar experience driving around at 1am with Mongrel Country cranked. Different context, sure, but that sense of foreboding, that menace, and the looming potential of terrifying savagery were all too familiar. Mongrel Country’s sophomore release realises some kind of dialectic between the ample talents of primary songwriters Dean Anthonisz and Max Ducker. Each has their own stylistic and lyrical themes. Ducker’s obsession with horrifying leathery animals - pigs, rhinoceroses, crocodiles - is simultaneously the most disturbing and distinctive feature of this album. That, and the hypnotically skull-smashing heaviness of his most of his guitar riffs. Does it get more brutal in rock’n’roll than the pummelling Hogtied? Anthonisz’s contributions, meanwhile, are generally a more brooding affair. He has smacked-out artistic wino ‘lost boy’ chic to a tee. His songs are just as savage but more vocally dynamic, and plenty creepy in their mid-paced menace. This disc is a deluxe package, packed with guest contributors, and an ambitious artwork design which manages to capture the haunting and darkly beautiful themes extremely well. It’s probably Cellar Sessions studios’ finest moment to date. 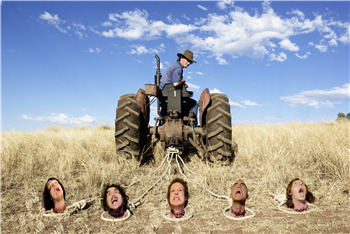 In July 2008, Mongrel Country released their first LP "Just Another Snake Cult", launching the album simultaneously with The Trevallys and The Moonlight Wranglers, to a capacity audience at Hyde Park Hotel. The album received strong reviews from local street press and was repetitively described as sinister and difficult to explain. The songs themselves touched on everything from Grunge to Country and Rock to discordant Indie-punk, this diversity occurred organically due to the combined efforts of the 2 drummers and bands 3 songwriters and vocalists; Max Ducker, Guitarist; Dean Anthonisz, Guitarist; and Tom Schmidt, Bassist. Just Another Snake Cult was local feature on RTR FM and featured popular tracks Long Pig and Where All End Meets, which still make an appearance in the bands live set today. Shortly after launching Just Another Snake Cult, Tom Schmidt left the Country, forcing the band to go on hiatus and find a new bass guitarist. Thankfully they neednt look far, recruiting Cameron Hines from Mile End, another band featuring Dean Anthonisz.. 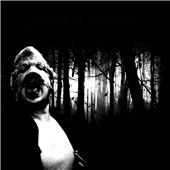 In April the band was invited to play RTR FMs In the Pines Festival, taking the stage in Pig Masks, a theme which would carry on to the artwork of their sophomore LP, MONGREL COUNTRY. Released nationally through Firestarter Music, their second offering thrives on the dynamic between the contrasting, yet complimentary styles of Ducker and Anthonisz. The album has received some fantastic reviews from critics and been praised by the press as Relentless and unforgettable. RTR FM have continued to support the band, selecting the album as a local feature and keeping tracks in high rotation since the albums release.. The song Hogtied has been featured on local compilation WA Gold as well as a free cd accompanying issue 9 of underground music mag Unbelievably Bad.